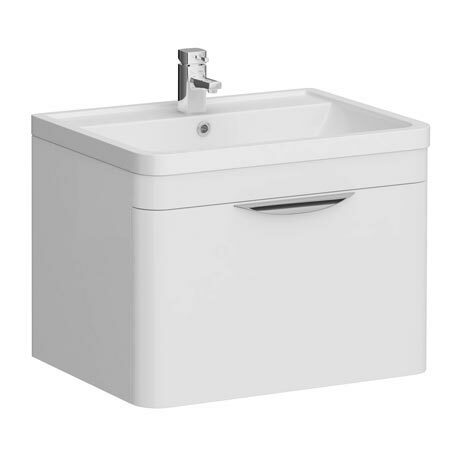 The Monza 600 x 445 Wall Hung 1 Drawer Basin Unit with Poly-marble basin top, modern Bathroom Furniture with a rounded corner design. Make the most of your bathroom with our practical and attractive furniture options. Give a contemporary look to your bathroom.